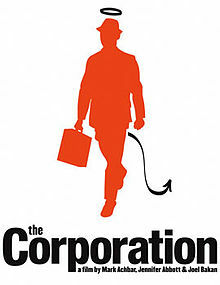 Amidst all the chaos, tragedy, and tumult that was 2011, I noticed one very clear theme: Most of us are struggling with the role corporations play in our society. The 14th Amendment (yes, the one that banished slavery) established corporations, in the US, as “persons” in the legal sense. In 2010, Citizens v. United sanctified corporations as equivalent to you and I in terms of political speech; in 2011, we began to see the impact of that decision on our political process here in the US (in short, follow the money). The freedom to “associate in corporate form,” as it is termed in portions of the Citizens decision, is one I sense all of us are not entirely certain about. Corporations are utterly undemocratic organizations, and being a part of one is often not a choice, but a necessity. Does joining a corporation mean that you must defend that corporations’ point of view and now Constitutionally-protected right to speech? Usually, at least in practice, the answer is yes. That corporation is paying your salary, and keeping food on your family’s table. Speaking out against it would be folly. This creates a tension in society that is clearly starting to surface. We overthrew the feudal system in the 1600s, and the theocracy in the 1700s. But currently, corporations play similar roles in many of our lives, either directly or indirectly. Certainly the Occupy Wall Street movement is one expression of this tension, but I’m not certain it will be the only one. Corporations are arguably the most powerful institutions in human history, more powerful than all but the largest governments. If that sounds silly, remember that the cash and cash equivalent hoard of the Internet Big Five – $180 billion and counting – is larger than the GDP of all but 50 countries. And that doesn’t account for leverage. The top 1000 corporations in the US are holding nearly a trillion dollars in pure cash. From a balance sheet prospective, corporations are in far, far better shape than just about every country in the world. Even as our personal incomes shrink on a per capita basis, and the world dips in an out of what feels like an eternal recession, corporate profits are up and up again. This feels a bit out of whack. And while #OWS is one reaction to that dissonance, I’m not sure it’ll be the only one. I think 2012 is the year we all start to question the role corporations can and should play in our society, and doing so won’t (or shouldn’t) be seen as an indication of some leftist or political agenda, but rather as a reasonable outgrowth of how a thinking person sorts through the solution of some of our most pressing problems. Because at the end of the day, we can’t really solve those problems without organizing ourselves into commercial entities. The question, however, is simply this: Can we organize ourselves into corporations without ending up doing things that, if one were to judge corporations as people, would be considered amoral, evil, or psychopathic? So far, the results are mixed at best. But I have a strong sense that we can and will do better when it comes to how we manage our corporations. And it starts with the industry we’re all part of. While it can be disputed endlessly as to its specific merits, Google’s informal corporate mantra of “Don’t Be Evil” was a watershed moment in the history of corporations. And as “The Information” becomes the most important currency in our culture, and the ability to code (and create great information-driven products) becomes its most prized skill, we’re seeing the rise of a new kind of corporate leader. Perhaps we’re shifting from corporate skillsets that value profit over all other metrics (psychopathic qualities which arguably led us to the financial crisis) to ones that value, well, doing well by doing good. It could happen. But I’m not arguing it will in 2012. What I am predicting is that this debate will become central to our political and cultural conversation in 2012. It feels like it’s time to have it, without screaming at each other in the process. And by the way, this is where corporate marketing comes in, in a critical way, but more on that in another post. Excellent post! As someone who would definitely consider himself far more “right leaning” then “leftist” I couldn’t agree more. 1) When I was at Carnegie Mellon as a research fellow about 10 years ago I did a lot of work with Richard Florida. I always felt this was an under-appreciated element of the Rise of the Creative Class. Probably partially because of Richard’s background, everyone tended to obsess about the regional & political implications. However, the far more interesting aspect was how this change in our cultural was effecting economic structures. To me while the Google example is powerful, even more powerful are the number of freelance creatives impacting the tech economy & now with the ‘lean startups’ entering the mix I really think the tech economy has become a model other sectors can look at. Both of these groups have “atomized” work and think platform. Allowing them to make tradeoffs that would have been hard to fathom in past generations. Anyway, this whole series has been great fotter for the start to the year! I like these longer posts much better then one large prediction post. Thanks Sean. I agree about IBM’s marketing, I think they’ve always led in “conceptual scoop” marketing, where they reframe their work as important and adding value to society. The real question is whether we can start to actually trust and engage with large corporate voices the way we do with “actual people” who we know. We’re entering new territory here, territory I can’t wait to explore in my book. Every information revolution has seen a new way for people to organize themselves into groups. And every information revolution has seen dominant ways of organizing become obsolete. The press paved the way for kingly states and capitalism and made the Church obsolete. The telegraph and telephone made the nation state and the corporation viable and made the family owned manufacturing organization obsolete. This information revolution may well make the nation state obsolete since corporations have grown beyond the capacity of the nation state to regulate. The current style corporation may become obsolete like the family owned corporation but what will follow. I suggest that the wave of the future will resemble facebook in that line engineers make decisions. Corporations that keep control at the top will simply become too cumbersome and too expensive to be competitive. Lower level decision making is logically inconsistent with a high CEO-to-worker pay ratio. And, corporations with a more balanced CEO-to-worker pay ratio will be more competitive because they are leaner and meaner. I wonder what might make the corporation obsolete, following your logic?! One might argue that a bottoms up corporation owned and run by employees is a new kind of entity just as the rationally managed, publicly held corporation was a new entity from the family owned “naturally manged” business even though they might make the same product. The new information regime might make it possible to make stuff without corporations. It seems to be working for music, news, and book publishing. This might be just the tip of the iceberg. Retailing has been reorganized by e-bay and craig’s list. During the telegraph/telephone revolution a new concept in retailing was born – catalogs – Sears and Roebuck and Montgomery Ward. The revolution in retailing was followed by the “management revolution” that made the modern corporation possible. The management revolution created an organization that looked suspiciously like a telegraph switching diagram. If it is true that the information structure is a metaphor for the organizational structure then networked production may be the wave of the future. First recognition of corporations as persons in the US appears to go to the 1819 Supreme Court decision in Dartmouth College v. Woodward. The court did eventually agree that corporations are persons under the 14th, but only to a limited degree. For example, congressional districting fails to count corporate entities as “persons”, despite the expectation of a naive reading of corporate “persons” and the language in the amendment. Both are well-researched, cogent discussions about the changing role of corporations, one looking at our past, the other to our future. The good news is that things change and we have a history of weathering some pretty bad situations. Slavery, women as chattel, and Prohibition, just to name a few. The bad news is the power of corporations is real and it won’t be easy to reduce it. Kudos for hitting such a vital topic. Thanks. I think there’s a comment in the interpretation of the 14th Amendment, an aside almost, that relates to corporations, but I better get the citation…. It was decided in the 1886 case Santa Clara County vs. Southern Pacific Railroad that the equal protection clause of the 14th Amendment (1868) applied to corporations in the same way as persons. The 1819 case had to do with the application of the Contract Clause in the Constitution and was thus not as wide-ranging (or influential in current corporate legal thinking) in its granting of rights to corporations as the 1886 case. For me “Corporations” are “Manufactured” framework incapable of any actions. The obvious danger of continuing to humanize the “Manufactured” Frameworks of “Corporations” and “Markets” is that it allows for the “Corporation” or the “Market” to become easy scape goats for violence and inhumane activity that is actually perpetrated by Human Beings. It is my view that Corporations extract existing value from what should be “Common” and re distribute just enough value to perpetuate the illusion that they are needed. I think of corporations as rather half formed – the “modern corporation” is really quite young, and has much growing up to do. One of the more astute critiques of the corporation that I have seen is from Marjorie Kelly in her book, The Divine Right of Capital. It’s worth reading the full book, but the essence of her argument centers on the notion of “shareholder primacy”, the idea that the primary reason for a corporation’s existence is to maximize returns for shareholders. Corporations may be legal persons, but they are also legal creations, and that is why I like the approach that the B-Corp folks are taking, modifying this underlying assumption behind modern capitalism. Take that assumption away and markets still work; capitalism still works. Note: I’m not saying we should take profits away from shareholders (capital deserves a return on investments) – just the idea that shareholder primacy is the primary reason for the firm’s existence. Thanks for looking into this question, John. It’s good to see people like you raising these questions. YXJYXQHAPPY I like it very much!